Cavalia in Montreal or Quebec City? Inform me about the next events for Cavalia. Enroll yourself to our priority waiting list for Cavalia to be alerted when new tickets are available. Filling this form doesn't engage you to any purchase. During the month of July 2018, let yourself be charmed by the equestrian show Cavalia Odysseo under the Grand Chapiteau in Montreal. Founded in 2003, Cavalia has performed in over 40 North American cities and dozens In Europe. Cavalia has 50 different horses of ten different breeds. 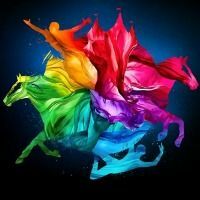 This equestrian show combines acrobats, dancers and musicians in complete harmony with the horses…a show not to be missed.